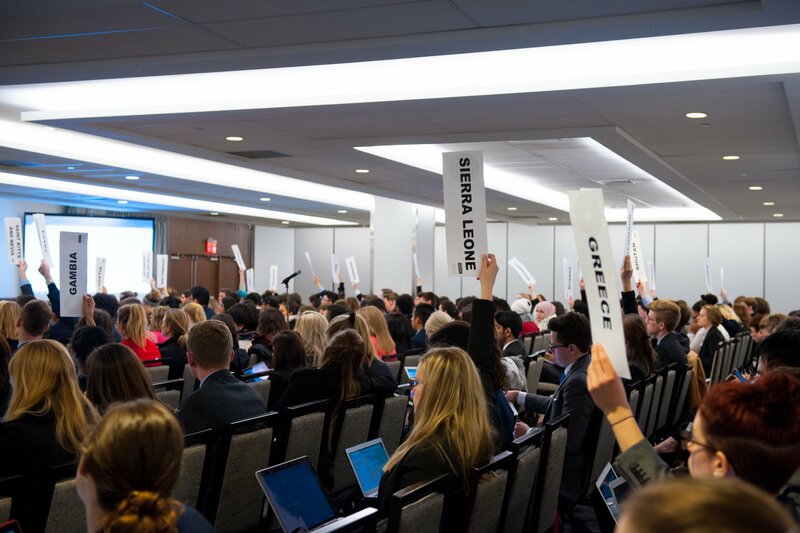 Cal Poly represents Sierra Leone in the 2018 National Model United Nations Conference. Model UN Team in New York. 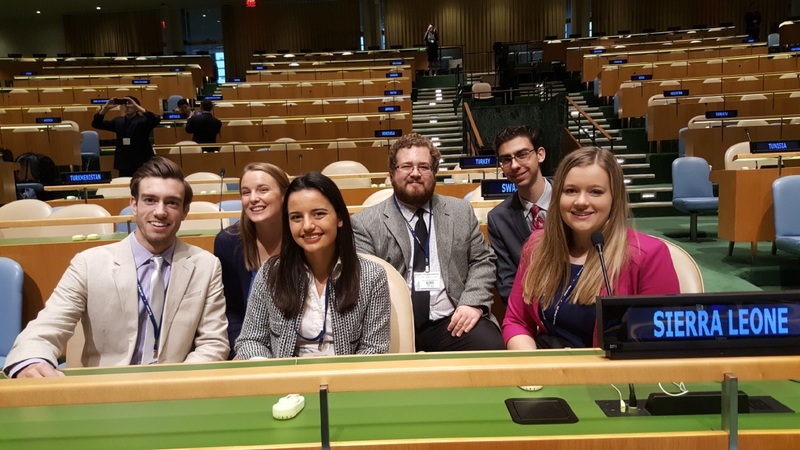 Over spring break, a group of eight Cal Poly students traveled to New York City with their advisor, Professor Craig Arceneaux, to participate in the National Model United Nations Conference. The students represented Sierra Leone and worked on issues such as the eradication of nuclear weapons, protection from cyber warfare, and the impact of pollution on marine life. The students enjoyed exploring some of New York’s most popular tourist destinations, such as Central Park, Brooklyn and Greenwich Village in their free time. They also enjoyed a traditional African meal in Harlem. Students outside the United Nations in March. On the last day of the conference the students were able to attend a committee session at the United Nations headquarters, as well as hear the Singaporean ambassador to the U.N. speak at closing ceremonies. This year’s delegation won the first award in Cal Poly Model U.N. history, honorable mention delegation. 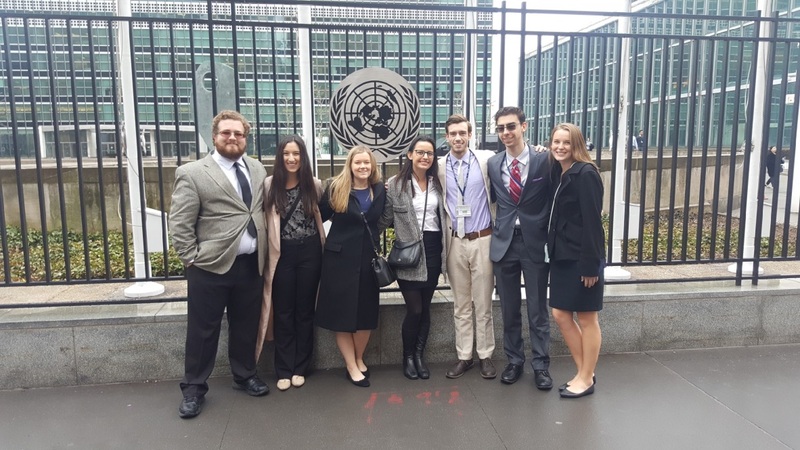 Two weeks after returning from New York, 10 students spent a weekend in Hollywood participating in UCLA’s 13th annual Model U.N. conference. Students represented a variety of countries on a multitude of topics. These included Saudi Arabia on the topic of protecting Rohingya Muslims in Myanmar; a state councilor of China on the topic of the One Belt, One Road Initiative; and South Africa on the topic of artificial intelligence and humanitarian aid. The students enjoyed exploring Universal CityWalk, as well as local Hollywood sites. Students were privileged to hear Karen Richardson, who previously served as a state policy advisor for former President Obama and currently works in the leadership of the Time’s Up movement, speak at LAMUN’s opening ceremonies.